In the supermarket last week I received an urgent text from my husband to buy crème fraiche, chilli jam, peppers and two tins of light coconut milk. I have yet to experience the culinary outcome of my shopping, but my guess is that the request was stimulated by some TV cookery programme which he, like gazillions of others, watches assiduously without ever seeming to create edible meals from them. The BBC alone puts out about 20 hours of TV cookery programmes each week, and there are even radio shows that include the genre. It reminds me of my childhood when Irish dancing was broadcast on radio on a Saturday night. According to a survey in 2014, when Sky and the Food Network were added to the BBC output, a humongous 434 hours of food programmes were shown on television in a single week. This amounts to 18 days of broadcasting. Despite the volume of cookery programmes on TV and radio, there is clear evidence that the amount of time people spend cooking, at least in Britain, has diminished significantly since the 1980s, and sandwiches are now the most popular meal followed by ready meals from supermarkets. So despite the claims that people's culinary interest and skills are developed by these programmes, the data does not support this. Indeed obesity levels are increasing, probably due to the amount of unhealthy, ready-made food that is consumed in preference to freshly made, home-cooked simple meals. If people are actually not using the programme material to widen their tastes and skills, why do they watch these programmes on such a grand scale? It is possible that there is a dream of reproducing these delicious and attractive looking dishes for the family. The image of healthy, home cooked, tasty meals is unassailable. The problem is they are often not as simple as the sales pitch suggests. After all, these celebrity chefs have a team of choppers, mashers and peelers to do the heavy duty stuff away from the cameras. That's why chefs aren't crying when they're chopping the last onion for the carbonnade. Neither does the meringue collapse during cooking: it's been pre-made. The viewer only sees the very beginning of the process. And the tediousness of stuffing tarragon under the chicken skin is concealed, having been already completed apart from the final spoon or two. So what is sold to you as a 15-minute quick dish may in fact be irritatingly demanding and consume hours of your precious time, as I have learnt to my cost when I was given a present of Jamie Oliver's 15 Minute Recipes. Some of the cookery shows make no pretence at simplicity: it is the beauty of the finished product that is attractive. Just seeing how such a work of art evolves and culminates in the array of flavours, colour and design can be magnetic. Yet nobody but an aspiring professional chef would dare try produce these dishes. These are usually the nail biting competitions where professional foodies critique the efforts of others. 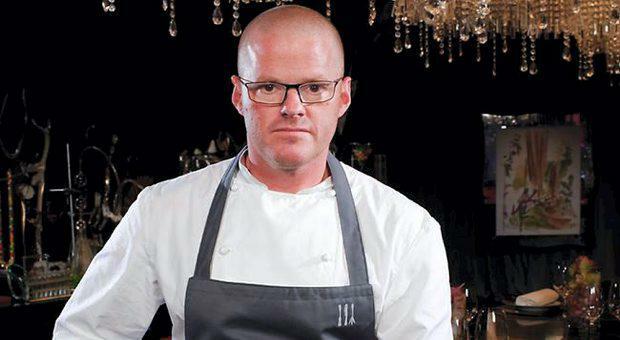 In the non-competitive shows, watching the efforts Heston Blumenthal cook is like an aspiring composer eavesdropping as Bach wrote his Great Mass - heavenly and beatific but utterly unattainable. Of course, chefs do cook simple food that take just a bit of effort and are doable with help from a friend or family member. Delia Smith and to a lesser extent Nigel Slater and Nigella Lawson epitomise these qualities. The problem remains that even then few people bother to try these recipes. It's a case of "Not today, Lord". What is likely to distinguish the few who cook these dishes from those who do not, is that the triers like not just the appearance of the final product and its taste and smell that stimulate the senses of sight, taste and smell, but they also enjoy the process of preparation. They value the tactile effect of kneading when baking, of cubing semi-frozen meat for a casserole, grinding a glove of garlic or sensing egg whites rise as they're whipped. These are aspects of the aesthetics of cooking that no culinary programme can convey but are personal to each individual standing before the chopping board. This was discussed in a wonderful article by Thi Nguyen in his philosophical blog series on the aesthetics of food. Intriguingly called "What's Missing from Cookbook Reviews," he points to the gap is this aspect of food writing. He believes that it is the aspect of cooking that turns people from aspiring to cook to actually doing so. I concur with this as an amateur who came late to the kitchen and oven. Perhaps if more TV cookery shows introduced this novel dimension these programmes might actually change people from being armchair cooks to becoming the real thing.